Practice PICC Placement Guided By Ultrasound. 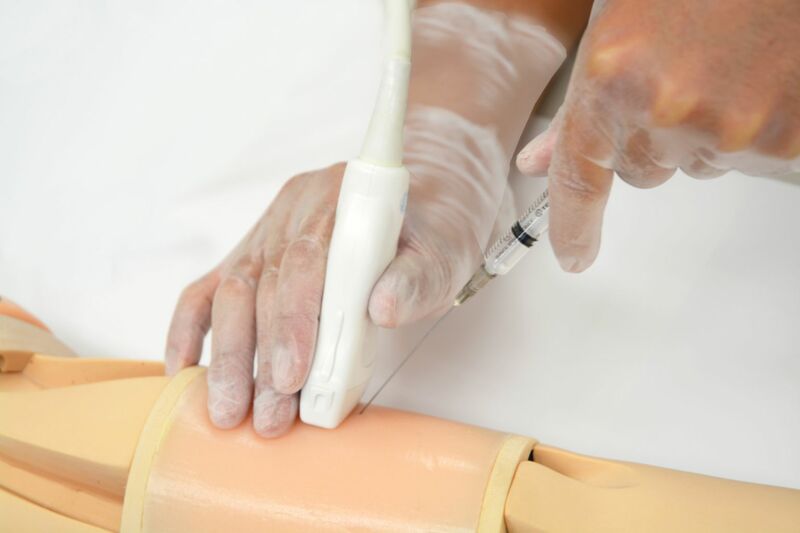 This simulator is the only training manikin which provides training for a variety of PICC Line procedural skills from the needle insertion, ultrasound manipulation to the placement of the distal tip in the SVC. 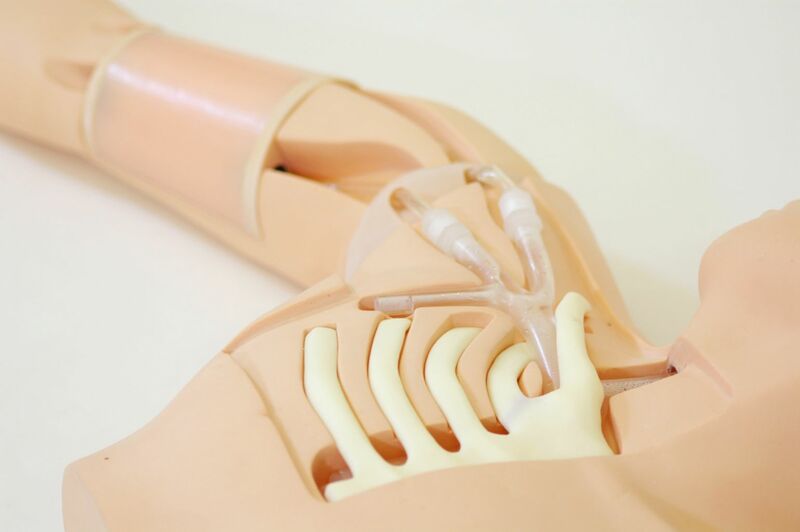 Both basilic and cephalic veins are prepared for access to set different levels of challenges in cannulation. The movable shoulder also allows for training in positioning of the arm to avoid potential malposition of the catheter. 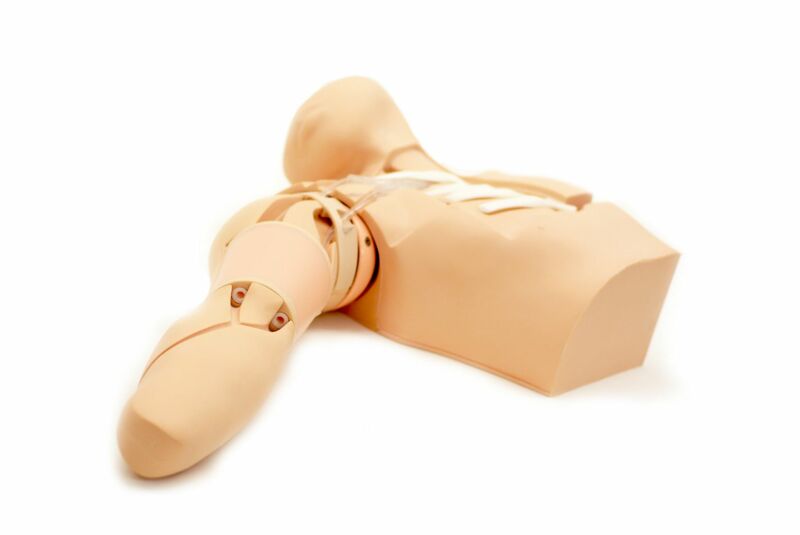 Anatomically correct bifurcation of the vein in the upper chest provides realistic resistance of its outer walls and enables simulations of complications such as malposition of the catheter into the jugular, the thoracodorsal or the subclavian vein. The simulator is ideal for hands-on training for residents, specialist nurses and radiographers. 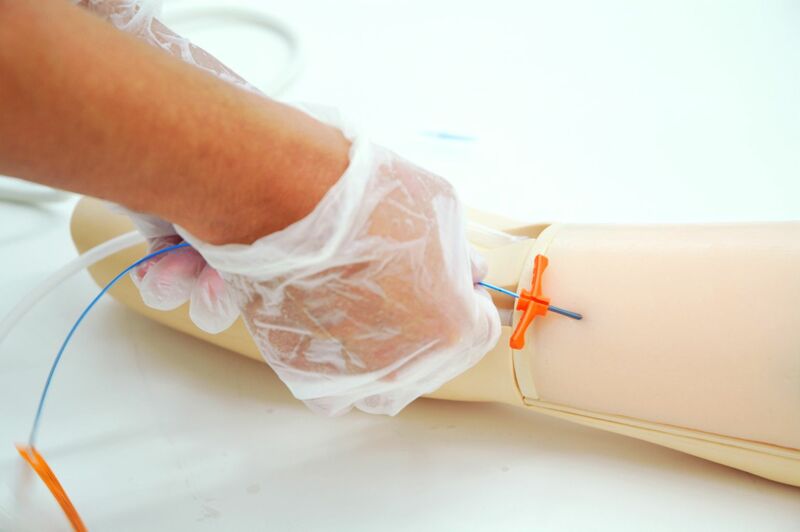 Ordering information: Recommended catheter size: 4 Fr, 50-60 cm.